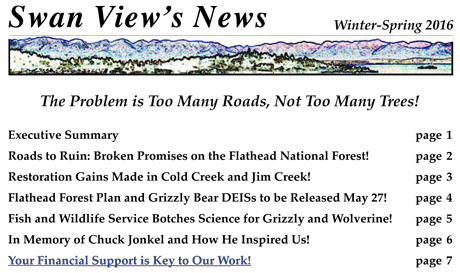 Below are links to SVC's comments on the Draft Revised Flathead Forest Plan, proposed grizzly bear amendments to four other NCDE Forest Plans, and their Draft Environmental Impact Statements (DEISs). We submitted 12 letters prior to the October 3, 2016 deadline, biting off a few issues at a time. We continue to submit more letters as new information becomes available. For more background on how and why we commented, see our Summer 2016 alert and newsletter! Click here for our 8/15/16 letter, which provides a photo of ATV damage in Krause Basin and asks that DEIS Alternative C be applied to finally ban ATVs from the old trail system there. 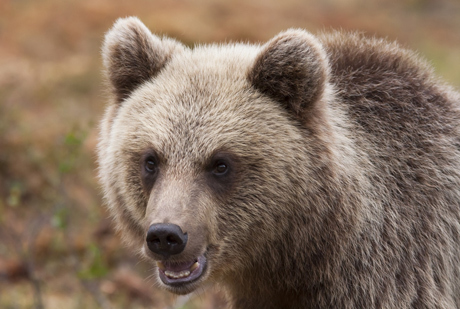 Click here for our 9/7/16 letter, which asks for a refinement and combining of DEIS Alternatives A and C to follow through on past promises of grizzly bear habitat security and increased wildlife habitat connectivity through the protection of roadless lands as recommended wilderness. 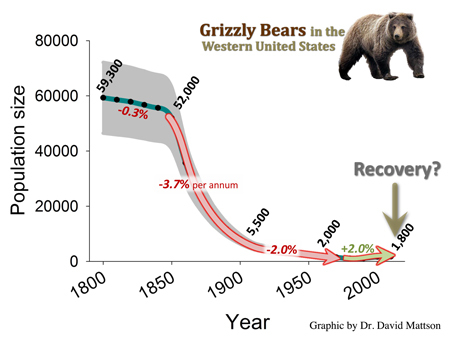 Click here for our 9/8/16 letter, in which we ask that all references to grizzly bears having met Recovery Plan parameters be stricken from the EISs due to the lack of legally mandated habitat-based recovery criteria in the Recovery Plan. This letter also details a number of ways in which all 3 DEISs and the proposed revised Flathead Forest Plan will not maintain grizzly bear habitat security at 2011 levels as promised. Click here for our 9/9/16 letter regarding budgets, products, jobs, income, and associated bias in the DEISs. Click here for our 9/12/16 letter regarding how the DEISs lie about definitions and requirements for managing Total Motorized Route Density, reclaimed roads, decommissioned roads, and revegetation of those roads. This letter attaches our Objection to the Trail Creek Fire Salvage Project and our 2/7/16 TMRD paper, which help illustrate with photos and facts why this is a big deal for fish and wildlife. Click here for our 9/13/16 letter regarding the inadequate range of alternatives in the DEIS, the inappropriate linkage to grizzly bear delisting, and the failure to carry forward essential unfinished programs from the current Forest Plan. 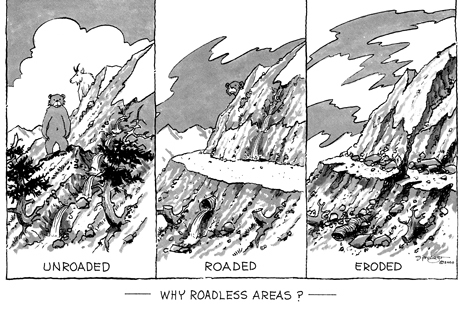 Included with the letter is our "Roads to Ruin" report that helps illustrate our point. 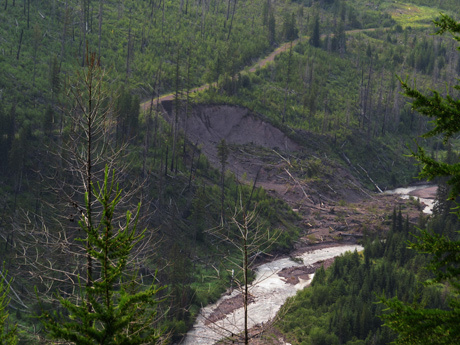 Click here for our 9/15/16 submission attaching a letter to the Flathead Conservation District explaining how restoring Krause Basin and removing ATVs will have positive effects on downstream private landowners. Click here for our 9/19/16 letter regarding how the DEIS and its alternatives fail to use the best available science and fail to propose revision and actions consistent with monitoring and evaluation of the current Forest Plan. Click here for our 9/23/16 letter regarding mountain bikes and their impacts on public safety, wildlife and other forest users. Click here for our 9/29/16 letter PDF that summarizes and includes four research papers concerning ecological traps, source-sink populations, and the genetic effects of dispersing grizzly bears. Click here for our 9/30/16 letter as a pdf that attaches documents showing the Flathead must provided grizzly bear habitat security according to the "3 and 7 Rule" until such time as it meets fully its Amendment 19 "19/19/68" standards in each subunit. Click here for our 10/3/16 letter following up on tidbits and the overall complexity of the planning documents. 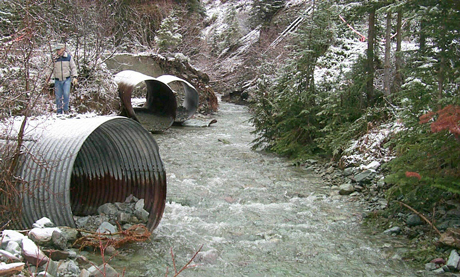 Click here for our 11/23/16 letter finding that the DEIS does not adequately address the Pacific Northwest National Scenic Trail proposal, its impacts to grizzly bear Security Core and other wildlife habitat, nor disclose that the Forest Service and National Park Service in 1980 found this proposal to be "neither economically feasible nor desirable." Click here for our 4/20/17 letter finding there is inadequate regulation of mountain biking and the human use of "stored" logging roads in the NCDE Grizzly Bear Ecosystem.